Advanced Mechanical Systems, Inc. | AMS Wins the 2019 Presidents Award!! 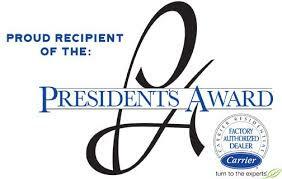 - Advanced Mechanical Systems, Inc.
Advanced Mechanical has been awarded the 2019 Presidents award! This is the third consecutive year and we could not be prouder of our team. Their dedication to excellence is the driving force behind our companies overwhelming success and growth. And to the most important part of our business OUR CUSTOMERS! We thank you for the opportunities to serve you each and every day and thank you for your trust and word of mouth referrals. AMS will continue to strive to improve and we promise to maintain a small business family approach and be RIGHT here when you need us!